Dimension One Spas of San Diego. John Trzcinka (JT), President of Dimension One Spas of San Diego, thanks you for your interest in our product. He and his team are available to help make your shopping experience informative and pressure free. Why do we only represent one spa manufacturer? Simple – our experienced staff has over 64 years of combined experience working for and with the best spa manufacturer in the industry. 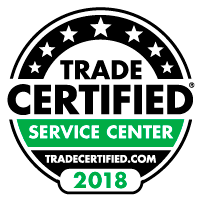 From Executive, through Sales, to Service, we know details about your new hot tub and its operation other retailers could only dream of. Now is a great time to visit our showroom at 2070 Hacienda Dr., Vista, CA, Ste. H. Allow us to demonstrate our spas for you and let you explore their advanced features. Come see the difference quality, service and commitment can make in your new spa. Our manufacturer, Dimension One Spas, has been leading the industry since 1977 with more exclusive patents on spa design than any other manufacturer, such as the UltraPure water management system, the UltraLife spa shell, and curvilinear design found on The Bay Collection. Dimension One spas make use innovative technology to be more energy efficient than any spas in the last 15 years. 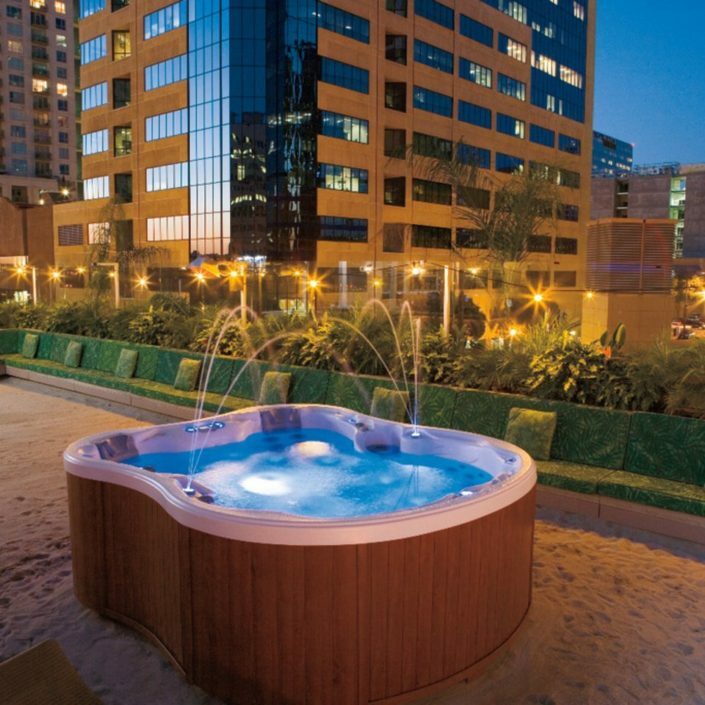 We offer completely custom installations, so you know your spa will become a valued asset on your property. Plus, you’ll especially love what really makes us the best – personal service from the owner of your local D1 dealership! Our team will show you all of our spas patented and user friendly features. JT and his staff are ready to consult with you to find the spa model that will meet you and your families needs. Dimension One Spas offers three distinctly different product lines and over 22 different models from which to choose. Go for the upgrade with Dimension One Spas. 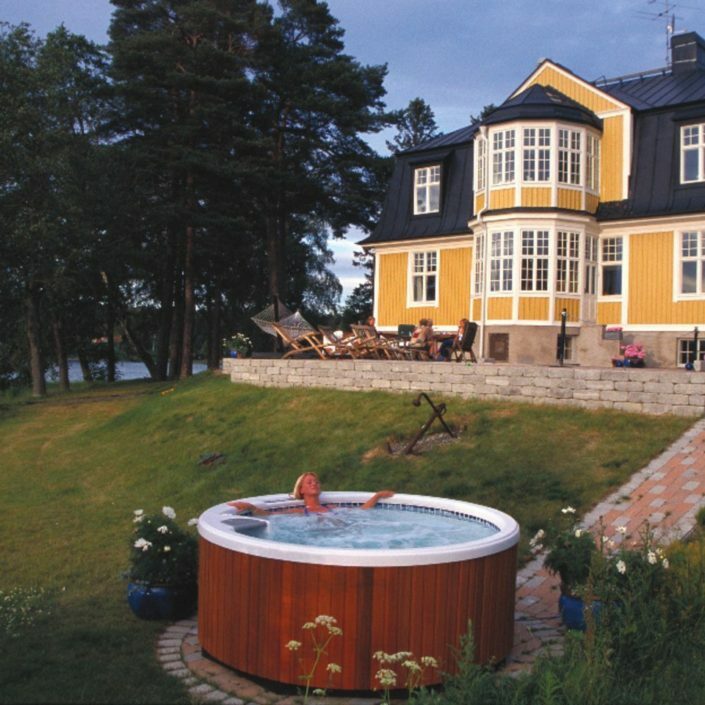 Perhaps you already own a hot tub but want to take advantage of newer technology and innovative features. If you’re ready for an upgrade, we’d like to introduce you to Dimension One Spas so you can discover our models’ tremendous restorative power and amazing massage capabilities! Each series of spa models come with the longest factory warranty in the industry! See all the models in person, including our swim spas. If you’re looking for unparalleled personal service and a product selection that cannot be matched anywhere in San Diego, then you need to talk to the Dimension One San Diego team today. We have the patents, the knowledge, and the model selection plus inspiring installation ideas! Come see us today at our showroom at 2070 Hacienda Dr. in Vista, CA or give us a call at (760) 598-8922.